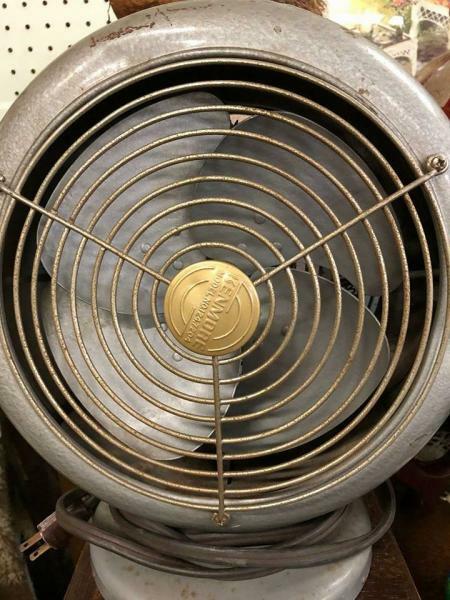 AFCA Forums > Antique Fan Collectors Association > Post-1950 (Vintage) > Anyone good with Kenmores? I know they didn't make their own fans, but other than that, I know nothing about them. This is a little 124.7204 that's for sale locally. I was wondering if anyone could tell me anything about it, if they're easy or hard to refurb, age, price range, etc. It's supposed to work, but apparently needs a rewire pretty badly. This is the only pic I have of it right now. Any help is appreciated. Looks like a Mimar Products heater fan !! Page processed in 0.1887 seconds (34% database + 66% PHP). 27 queries executed.